Few years ago, there was a new term i.e., ‘Shadow IT’ that started buzzing all around the technical platforms. This technology states the use of unmanaged apps in an organizational environment. When users regularly install and start using unauthorized applications without any IT technical knowledge, it means that they are real Shadow IT security clients. After reading the above statements, surely you might be feeling a little bit underwhelmed. The term is sounding like a villain entity but, its actual define is far different from ominous. In the business world, the Shadow IT security concept seems good because it provides flexibility in work to employees. It enables officials to work in a proactive manner for achieving more productivity at the workplace. Several organizations using BYOD (bring your own device) infrastructure seem to come along with the territory. However, the unauthorized software might perform some small protection vulnerabilities, which could, in turn, result in major problems, if they get exploited. At the core level, shadow IT is not a malicious act but, it can turn into a problem for organizations, if they do not enforce proper cloud security standards. It is essential to understand a bigger image of what is going on with Shadow IT to use this technology in a secure manner. Therefore in this post, we are going to throw some light on the potential impact and some thoughts to mitigate the problems, before they cause some harm. You might be imagining that there would be a dark story behind the emergence of shadow IT security. If so, read out following small story! As a result, some assumptions made by Gartner in the year 2013 were absolutely correct. According to the Tech Pro Research report, the total number of enterprises, which use BYOD technology, is 59%, with at least 13% of organizations enabling it. In today’s date, shadow IT security has become a topical problem because of the wide adoption of this bring you to own device technology. 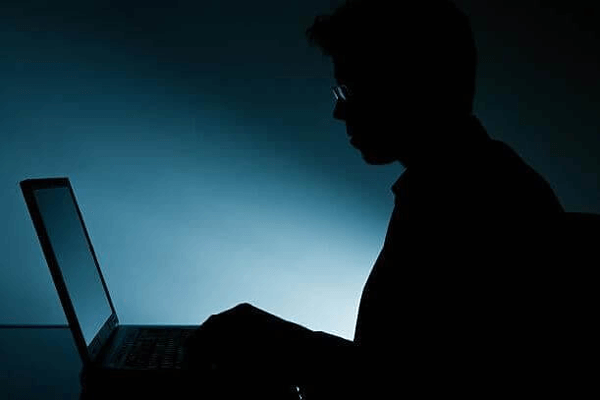 How To Ensure Shadow IT Security Regularly? Control Regulatory Compliance – This shadow IT preventive tip is for businesses of all size because it is important to achieve client confidentiality. Additionally, most of the regulatory agencies like HIPAA, SOX, etc., might fine users, if they are violating specified set of rules. It is the major duty of enterprises to dig into the standards to which they are subjected, and from there, generate a best-practices tutorial for employees to refer. If this particular idea works, its well and good. If not, the only option left is to consider the use of cloud access security broker solutions because now, no more options are left behind. Use of MDM Security Solutions – If there is a large enterprise, it is tough to define guidelines and trust on employee. No guarantee can be there that every employee will abide by the standards therefore, we suggest use of mobile device management solutions for medium as well as large businesses. If software like Vmware Workspace ONE, Microsoft Intune, or SOTI MobiControl, is used, keep one thing in mind that these platform-agnostic machines enable firm to comply with password security policies. All this is done to secure enterprise apps without taking control of the user’s personal device. Aware Everyone to Be Updated – One of the best ways to prevent shadow IT from becoming an issue is to ensure that each and every employee in an organization is updating his or her device OS. Aside from performance improvements and security patches, this preventive measure also ensures a strong foundation for applications to properly update. If users working with an older device refuses to perform updates, enterprises are strictly advised not to permit these kinds of devices to access crucial data on public cloud. Prefer Use of 2FA in Small Firms – BYOD device administration within the small companies may be avoidable. In addition to the creation of password as a necessity, setup a 2FA (two-factor authentication) service to secure business accounts and services. Majority of the products and their associated platforms are already in-built with feature of 2FA. This security feature is really very much useful to protect several Cyber threats, which are caused due to account credentials leakage. One of the best methods to begin fighting with the shadow IT security problem is to start with explanation, which addresses your entire firm’s staff. Aware people in your surroundings that why they should avoid use of unapproved apps. We have to realize one fact that – Still in today’s scenario, Cyber security awareness sessions are needed to aware public with the threats present on internet.